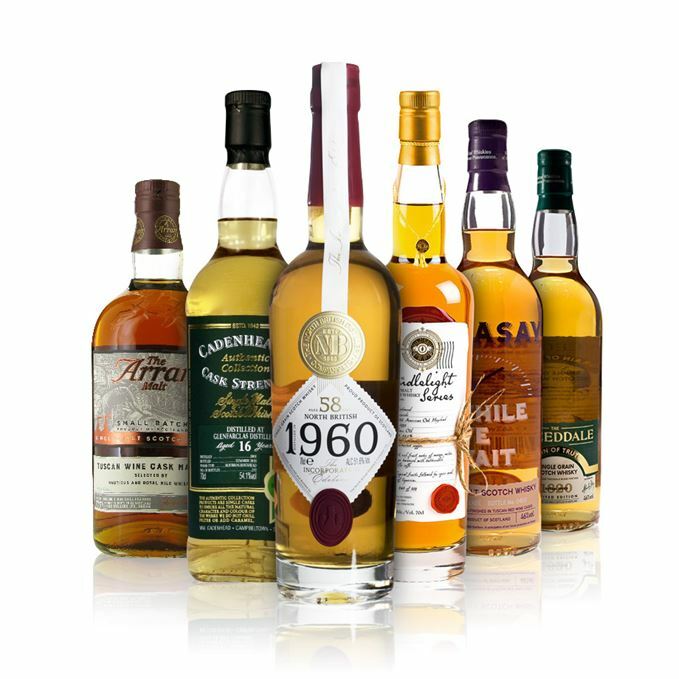 Dave Broom tastes six radically different whiskies this week, accompanied by a suitably eclectic playlist marrying Strawberry Alarm Clock and Radiohead. First up is an Isle of Arran bottled for Royal Mile Whiskies and new Edinburgh bar Nauticus. Broom finds a spicy start to the nose with star anise before relaxing into blood orange on the palate. ‘Gorgeous,’ Broom gushes. 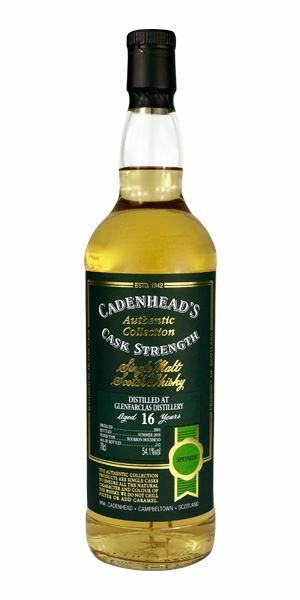 Next up is a 16-year-old Glenfarclas by Cadenhead, which is ‘all dunnage floors and oily dungarees’. An unusual dram, Broom concludes, but not an unpleasant one. A 19-year-old Linkwood bottled by newcomer Whisky Illuminati shows generous, ripe fresh fruit – the bottler knocks it out of the park on its first try. 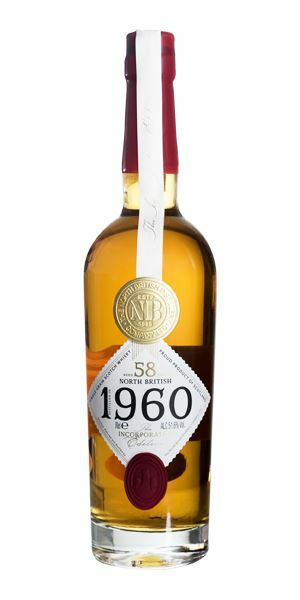 The North British 58-year-old Incorporation Edition single grain – the 19th century Edinburgh distillery’s first commercial release – single grain wears its age ‘magnificently’ although Broom bemoans its scarcity and price tag. 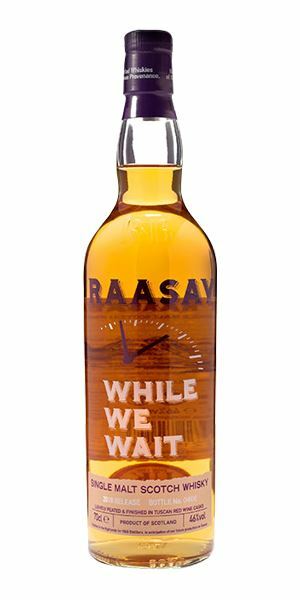 Closing out with a pair of whiskies from R&B Distillers, the 2018 release of Raasay While We Wait is a Highland single malt designed to mimic the characteristics of the forthcoming Raasay distillery bottlings. Broom finds a ‘happy and easy-drinking mix’ of peated malt and red wine influence, but loses its vibrancy when water is added. 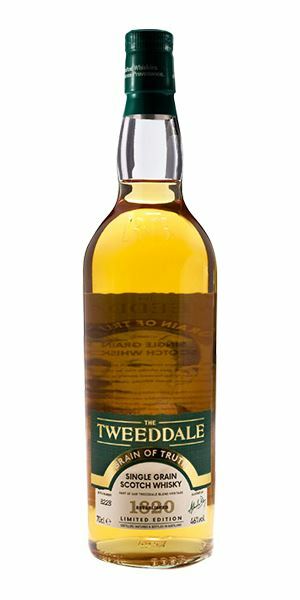 Tweeddale Grain of Truth, however, perks up with a little added water. A ‘gentle, light and estery’ single grain, Broom recommends a ‘long and cold’ serve to get the most out of this zesty offering. In accordance with a batch which spans the whole gamut of ages and prices, this week’s playlist zips around with aplomb. From the soulful sounds of Neil Young’s Harvest Moon to the Beach Boys and Radiohead, Broom has all bases covered. Wow! A spicy start, all bay rum, star anise, tobacco, and concentrated red fruits (Morello cherry). As it opens, a drier element develops, reminiscent of cedar and dry cigar before a jolt of kumquat lifts things once again. Sweet, but without being jammy. The headiness is calmed down slightly with water and more herbal elements come through, along with oak, spice, preserved plums and angelica. 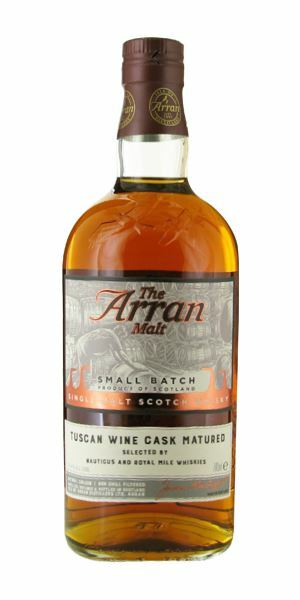 It is those exotic, herbal qualities which dominate the palate alongside saffron, more angelica elements and some black fruits, before Arran’s mix of spice and orange bitters adds another layer. Love the way it veers from herbal, to spice, to fruit. When a drop of water is added you’re into the world of oxidised Italian sweet wines before the citrus (pomelo, blood orange, and kumquat) return. Gorgeous. This works so well because the wine casks aren’t there just for effect, but as a new element which can be integrated into the whisky, adding complexity and showing new balances but never losing the fingerprint of the distillery. A hedonistic weekend, Everything In Its Right Place. Old style, all dunnage floors and oily dungarees, albeit mixed with Taiwanese Oolong and tinned water chestnut. The alcohol adds an intensity, but there’s sufficient vanilla elements to stop it becoming too hot. Water brings out an oxidised note akin to an unfiltered fino Sherry. More demonstrative. 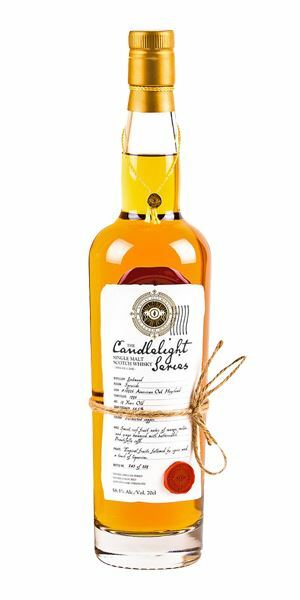 Fat and generous, it leans in mixing some earthy dryness with marzipan/peach kernel and the distillery’s slightly burnt note. The mid-palate has stewed apple. Water makes it richer, more coherent and shows the solidity of the distillate. Clotted cream and ripe melon. It may seem atypical, but it’s excellent. There is, perhaps unsurprisingly, a little heat at work here making it slightly hard to get into, but as the alcohol flashes off so you can pick out the requisite cooked Bramley apple mixed with pear juice, green grass, light whipped butter and crystallised petal. A touch of quince indicates a greater, mature depth, confirmed when water is added and more oak comes through. The tip of the tongue is all about fragrant blossoms, with the distillery’s oily feel and generous fresh fruits only emerging fully in the middle, ripe and bathed in their own syrup. In time you get tarte tatin, with light crème anglaise and a dusting of icing sugar before the cool fruits (white peach especially) return. This gentle unfolding of flavour is accentuated when water is added, along with sweet baking spices. Fresh and lively once again. A lovely, on-the-money Linkwood from a new bottler. More like this please! Before we get stuck in, look at the strength! Amazing for a whisky of this age. Things start slow and soft with steamed syrup pudding, white chocolate, nougat and sweet spices. There’s a generosity to this, with the fruits being reduced and compressed over time. Juiciness and corn oils seep through alongside pepper, dried orchard fruits and then bread and butter pudding, moving into a light, creamy cashew nuttiness. Thick and immensely chewy, with cocoa butter creaminess to start, then the sweet spices – this time mixed with geranium and creamed corn. Delicious, but with sufficient oaken underpinnings to stop things becoming flabby. Very gentle with water, mixing together nectarine, thyme honey and glimpses of tropical fruits. Lazing under a Harvest Moon. All strawberry fool, summer pudding, heather flowers and a tiny amount of smoke. All rather delightful. A drier quality then comes through – lying under a privet hedge (try it sometime) before the fresh fruits return, now with added raspberry leaf. Water brings out a lactic note, then squashed blueberry before things start to firm up again. The smoke is more apparent now. Its role isn’t overplayed, but rather it’s there as a scented support to the fruits (plum skin, hawthorn jelly) and a new vanilla element. The vibrancy is a little lost when water is added, but there’s still enough of the smoked berry fruits. Smoky and a little hot, then sweetens. A happy and easy-drinking mix of Tuscan red wine casks and some peated malt. Here Today, gazing into the flames, dreaming of summer. Crisp and clean that starts off with similarities to a young Hunter Valley Semillon with its austere yellow stone fruits. There’s some heat, lemon zest, then Weetabix before it softens into lemon barley water, when a yeasty element (washbacks going full pelt) is introduced. Water brings out a big acetone note, along with lemon puffs as it swings from wine to a Belgian gueuze beer. Gentle, light and estery. Lots of green apple, pineapple and nail polish. Fresh and effervescent with a tingle akin to ginger beer, although things become more rounded and develop a scented green quality. Water perks it up once again with added lime and a popping candy quality. Unusual in that it is made from a 50:50 mashbill of barley and wheat. Have it long and cold. A nail bar’s opening party, filled with the smell of strawberry Incense and Peppermints. Batch 174 09/11/2018 A sextet of Bruichladdichs come calling this week, including a trio of new Octomores.